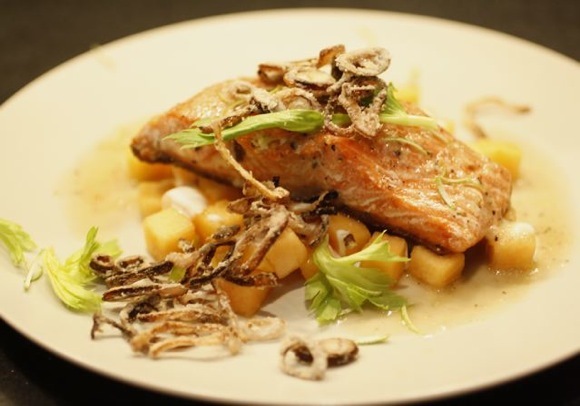 We had spied this magical salmon recipe in the July issue of Food & Wine magazine on our flight to Portland, Oregon. I was hooked just reading about the pairing of salmon with cantaloupe, but it was the horseradish vinaigrette with fresh lime juice, brown sugar, and fish sauce that put it over-the-top. And as it turns out, a friend in Portland had just returned from Alaska with her catch of sockeye salmon.